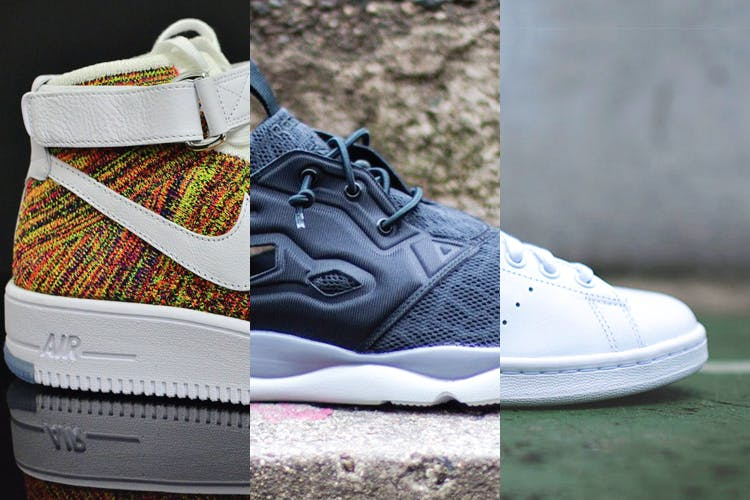 Get a low-down on our picks for the best sneakers you can get your hands on in town. Trends come and go, but some styles simply refuse to die out. Staples like the Adidas Stan Smith and the Reebok Classic are bestsellers, and have been around since before most sneakerheads of today were in diapers. They were done right the first time around and haven’t changed much since. Whether you own a board or not, skate shoes, like the Vans Authentic, are a must-own, and thanks to their durability, make for great wear-anywhere shoes. Bring the heat, even when it’s hot outside. Shoes with mesh uppers, like the Reebok Furylite, keep your feet cool, aired-out and plush, owing to the Ortholite insole. Sneakers are seasonal too! Classics are always good to own, but it’s equally good to own some designs that are simply ahead of their time for when you really want to show off. The Reebok Instapump Fury Road is a perfect example with its unconventional pump system and angular lines. There has been a wave of releases recently which are simply modern interpretations of older classics. Combining modern technology with old school silhouettes is something amazing, because it gives the brand a chance to showcase their tech as well as sneakerheads a chance to pick up some old school kicks that may never see a re-release. The best example in this category is easily the Nike Air Force 1 Ultra Flyknit; a super light Flyknit version of the Air Force 1, which is a shoe that has seen countless colourways and versions over the past 34 years of its existence. All these sneakers are available at the VegNonVeg store, now open at 135/136, Meherchand Market.